When you’re a band for a decade, you’ve performed in front of many different crowds. But knowing what kind of crowd you’re performing in front of is key to having a good, fun show. Listen to Levi Benton, Ryan Neff and B.J. 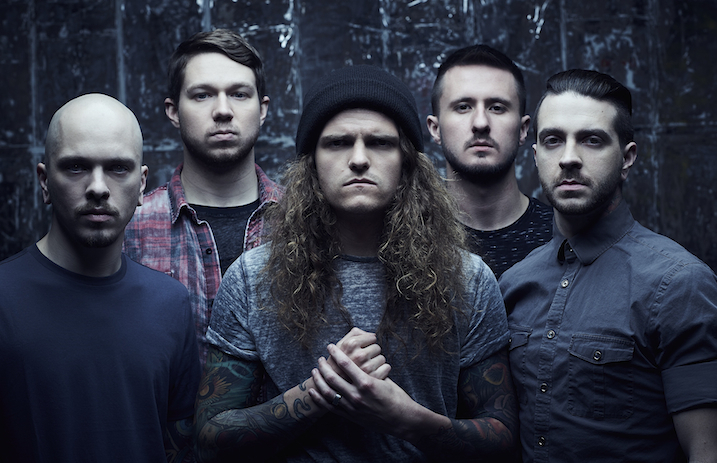 Stead of Miss May I sit down and talk with AP’s CEO and Founder Mike Shea on Backstage Pass about the differences in crowds, how they know when they’re going to have a good show and more. Miss May I have performed over the world, along with many different festivals from Vans Warped Tour to Mayhem Fest. Not only is there a difference in the type of lineup between these two festivals, but there’s also a significant difference in the crowds that attend. When asked how they adjust for a more male-dominated crowd in a festival such as Mayhem, the band immediately agreed that frontman Benton carried them through. “I can’t go onstage and say ‘Hey, jump’ or ‘Hey, do this’ because those people aren’t there for that. When people go to shows like that, they go to shows like how I go to shows: I just want to watch and enjoy it and if I’m close enough to the mess of it, then I’ll get a little rowdy, but that’s it,” said Benton. The band commented on how this is different from performing at Warped Tour, where they’d encourage things like circle pits and having the crowd get a bit more physical. These changes even affected the way Benton would talk to the crowd. “There’d be four dads in the back holding their beers up and, like, other guys in bands,” joked Neff. 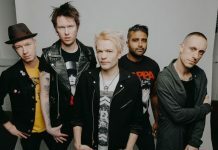 After a decade of performing in front of crowds, it’s become a science to the band as they’ve begun to identify cues from crowds that let them know what kind of show they’re going to have. “It seems to us—we make this joke—if you can stand with your arms apart, you’re going to have a boring show. When the crowd can get that comfortable, they become very shy in that atmosphere,” remarked Stead. When that happens, it’s up to Benton to get the crowd excited and bring them together where they’ll want to cheer and be loud. It’s something the band says Benton does extremely well. You can listen to the entire interview with Miss May I on Backstage Pass below where the band also talks about changes they’ve made after a decade of performing, along with what brought them on. Stream it on iTunes, Google Play, Stitcher and AltPress.